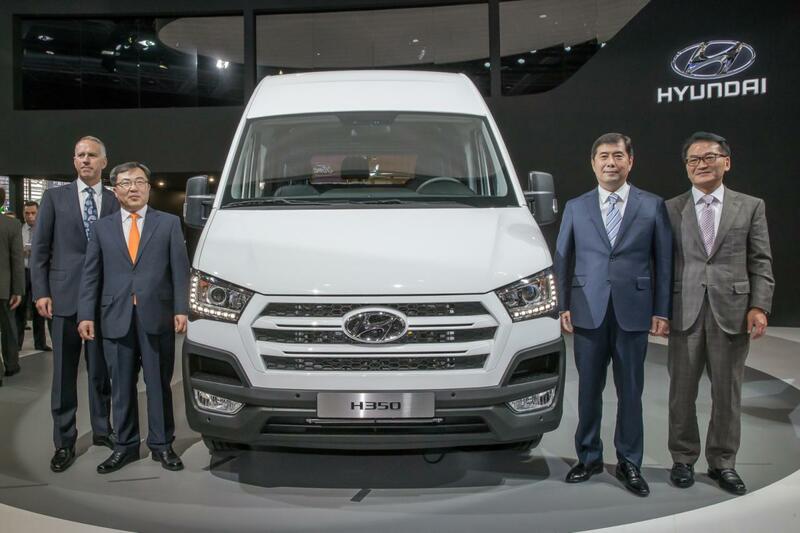 Hyundai unveiled the new H350 van at the IAA Commercial Vehicles Show in Germany. 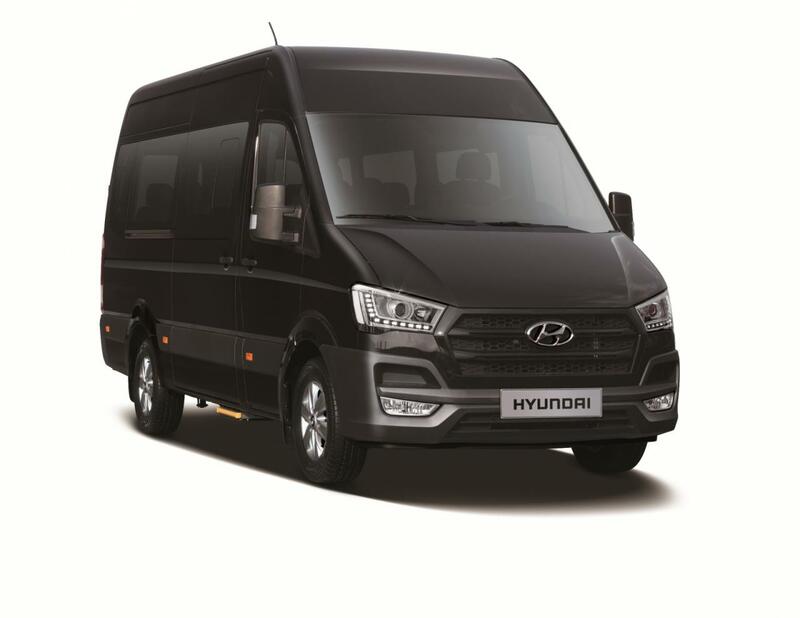 The South Korean model is designed for the European market and comes with sliding side doors, split rear doors and a new platform. Other exterior tweaks include LED daytime running lights and a hexagonal front grille. Under the hood sits a 2.5-liter CRDI unit producing 150 horses and 373 Nm of torque but a more powerful 170 hp version with 422 Nm of torque is also available. Inside, buyers will get power windows, air conditioning and a multi-function steering wheel. The Hyundai H350 also gets an optional infotainment system, satellite navigation and a 4.2-inch LCD display. “H350 is set on a flexible platform that can support three body styles, cargo van, passenger bus and flatbed truck – strengthening the company’s European vehicle line-up, entering the light commercial vehicle segment and targeting new customers in Europe,” says the carmaker. Expect more details and photos for the new Hyundai H350 in the coming weeks.